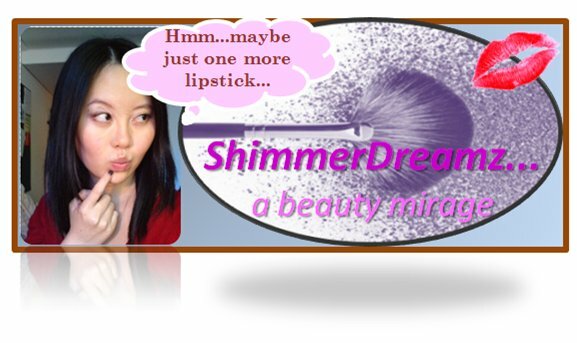 ShimmerDreamz...Beauty Oasis. : Top lip tips a girl should not live without! Top lip tips a girl should not live without! I visited London by train yesterday for a Benefit event (my first! *squeals*) co-hosted by the lovely Yinka from Vex and the City, which I will blog about soon. I met some really great girls there and it was so much fun to talk to girls as addicted to makeup as I was. It was so much fun that I stayed later than planned and missed my train home. I had to catch the next one, but that’s a whole different story. Anyway, to pass the time, I bought the April issue of Cosmopolitan. In the beauty section of the magazine, I came across a fantastic feature on ‘Hot Lips’ by Ingeborg Van Lotringen. There were some neat tips and tricks for bright siren red lips, pretty pink smackers and orange punch pouts, as well as colour guides for different skin tones. Some of these tricks I knew already, whilst others were really interesting to discover. So I thought to share some of my favourites with you here – hopefully you’ll be tempted to buy the magazine! (It’s definitely worth your money to purchase this month’s Cosmo and here’s why). Note that I’ve paraphrased a bit. 1.Brights can drain the skin, so warm it up with rosy blusher and cover up dark circles and blemishes. 2.Use your gum colour as indication of your perfect pink. 3.Use flesh-toned lipliner to neutralise your lipcolour in order to achieve the exact shade of lipstick in the tube. 4.Never be Miss Matchy-match with your lip and nail colour if you want to be modern. 5.Give your lips a plumped look by applying sheer gloss. 6.A stain topped with gloss fades more evenly than lipstick. So there you go – my top 6 favourite tips from Cosmo which I hoped you enjoyed. Wonder Woman out tomorrow! I will be getting up early to check it out in Debenhams so no 9am wakeup for me as I had hoped. However, it will be the LAST DAY OF LABS tomorrow for the duration of my undergraduate studies and I am so ecstatic about it. I would burn my lab coat as a celebratory gesture, except I kinda need it next year for an extended project in research. Harrumph. lol I was quite surprised too! It's probably similar to using the colour of your veins to identify if you've warm or cool skintone. Just don't let anyone catch you baring your teeth in front of the mirror in Boots! Like my posts? Then follow by clicking the button below to stay updated! I'm a university student who likes to dabble in beauty and fashion in my spare time. This includes writing this blog and wasting an inordinately large amount of time shopping, or at least researching what I should buy. Asian Benefits and new hair cut picture! Great deal: £9 for £20 to spend at ASOS! London Haul: Clothes, makeup, hair care and more! Let's get flexible with Lizzy A's 8 Hour Cream! Top Celebrity Beauty Buys from £2! Want more? Head over to American Makeup! ShimmerDreamz 2011. Awesome Inc. theme. Powered by Blogger.